Is It Okay To Call A Psychic If You’re a Christian? Sign up today for the latest news, articles, podcasts and special offers from Dr. Ginny! 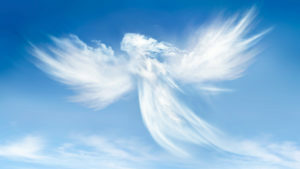 All of Dr. Ginny's readings are Christian based and have come from Angels and Saints. The Occult is never a part of any reading. Dr. Ginny is a practicing Catholic. An Ordained Minister and has her PhD in Spiritual Counseling. Dr. Ginny studied at the prestigious Arthur Findlay College for the Advancement of Psychic Science in England. All Psychic readings and services rendered thereof is for entertainment purposes only. I am not qualified to give Legal and/or Medical advice and will not do so. If you need legal and/or Medical advice please seek the help of a professional licensed to provide such services. All Psychic readings and services rendered thereof is for entertainment purposes only. I am not qualified to give Legal and/or Medical advice and will not do so. If you need legal and/or Medical advice please seek the help of a professional licensed to provide such services. Contact a Christian Psychic Today! © 2018 Dr. Ginny Christian Angel Readings. All Rights Reserved.